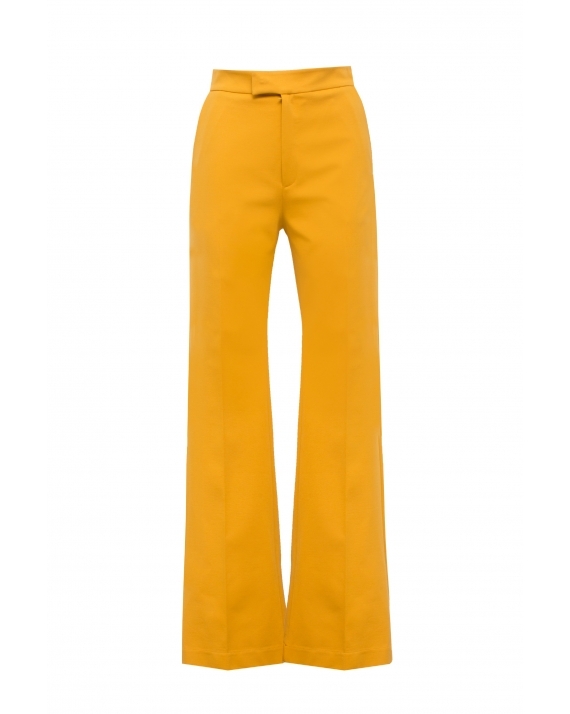 Wide and high-waisted pants, made of honey fabric. Zippered and with gold, decorative latch. Materia composition: 45% Poliester, 35% Nylon, 15% Wiskoza, 5 % Spandex. Wide high waisted pants zippered with a covered zipper and a with a silver nap.Material composition: 45% Polyester, 35% Nylon, 15% Viscose, 5% Spandex.